On a trip to the Cascades outside Winthrop, Washington, My wife and I saw a sign pointing down a trail :"waterfall". After a short walk, we came upon this scene. The sun was shining through the tree cover on the wet rocks. This must be a common site in these parts of the state, but I was entranced. 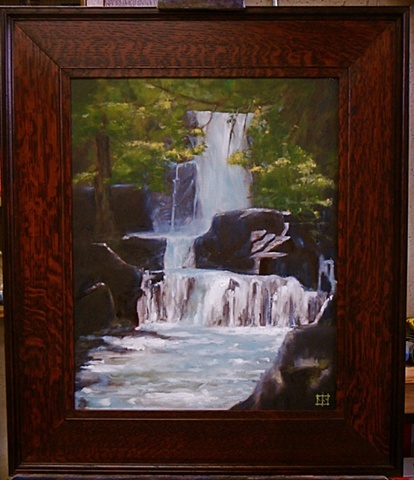 This painting includes a 3" quartersawn oak frame by the artist.